After arriving in Australia in 1919, the Smiths, Bennett and Shiers flew Vickers Vimy IV G-EAOU (God 'elp All Of Us) it to Point Cook, Victoria. On 19 March 1920 it was formally handed over from Vickers to Billy Hughes, Prime Minister of Australia, on behalf of the Commonwealth. The handover caused something of an outcry, Hughes apparently being the only member of the Government who was aware of the arrangement! The Prime Minister immediately gave the crew permission to fly the aircraft to their home town of Adelaide, and they duly departed on 23 March, arriving at 1.55 pm to great excitement and a cheering crowd of 20,000. In 1921 the aircraft was entered on the RAAF Register as A5-1 (the only Vimy to officially serve with the RAAF). However, the aircraft was never flown and it was successively stored, then exhibited by the Australian War Memorial until 1957. With the opening of the new Adelaide/West Beach Airport in 1954, the opportunity arose to create a fitting permanent home for G-EAOU. 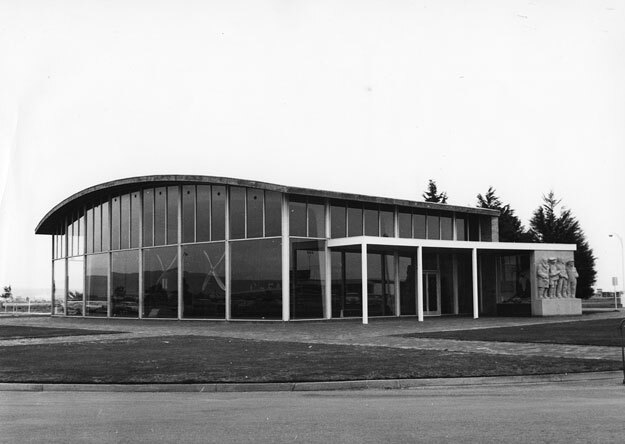 Although the aircraft was partially burnt during transfer, and had to be rebuilt, in 1958 it was installed in a purpose-built, fully enclosed shelter located adjacent to the airport Passenger Terminal. The shelter is shown in the photo above, probably not long after it was constructed, and below in about 1969. 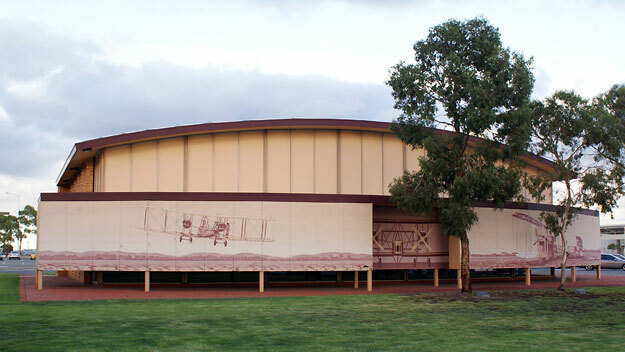 The shelter also includes a statue depicting the aircraft's crew, which can be seen at right in the image below. The photo below shows the exterior of the shelter in 2009. 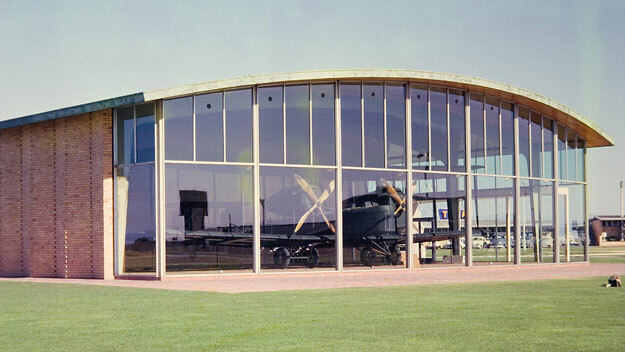 Screens have been erected around the glass front and sides of the shelter to prevent the aircraft being damaged by exposure to sunlight. The original Terminal closed in February 2006, replaced by a new Terminal some distance away, and the Vimy shelter is now something of an orphan in the airport carpark a long way from where most passengers go. Nevertheless, the Vimy G-EAOU remains perhaps the most historically significant aircraft in Australia today.